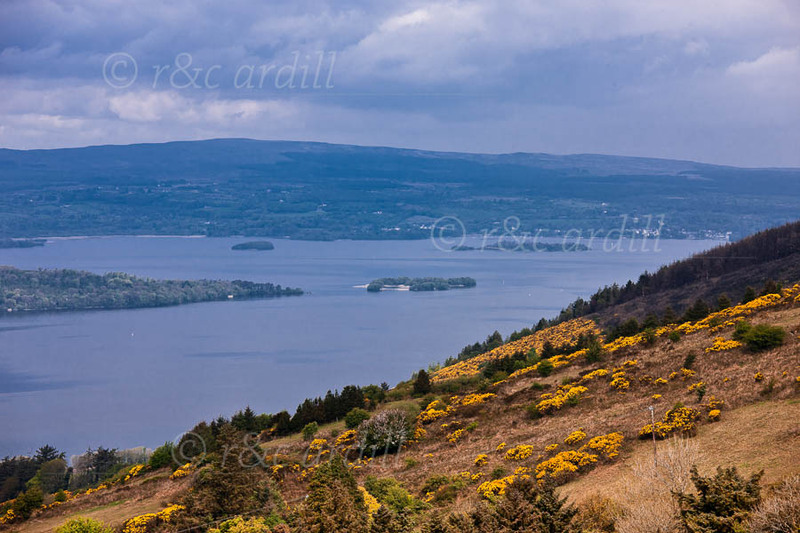 A view of Lough Derg from Tountinna mountain. The image was taken in late spring, when the gorse is at its most vibrant. The border between Tipperary and Clare runs through Lough Derg. In the distance is Cappaghabaun mountain.